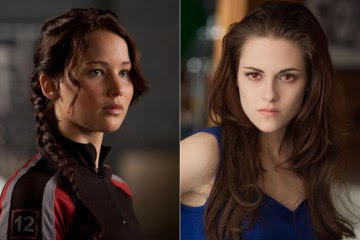 By the time The Twilight Saga wrapped up in 2012, it had earned $3.3B for Lionsgate over five movies. The Hunger Games? Nearly $3B across four movies. That's a lot of revenue for Lionsgate to make up for and attempts to launch similar franchises, like Divergent, haven't been as successful. For years they've been trying to come up with a new way to keep these brands alive, and it seems they're still keen on doing so. Variety reports that Lionsgate CEO Jon Feltheimer indicated at a quarterly earnings call that more Twilight and Hunger Games could be on the way. He's quoted as saying, “There are a lot more stories to be told, and we’re ready to tell them when our creators are ready to tell those stories." That last part could allude to Lionsgate needing the approval of authors Stephenie Meyer and Suzanne Collins before they can continue. Who knows what's stopping them, but certainly it's not the promise of more cash. There are a lot of ways this could go. I doubt a straight-forward sequel to either franchise is one of them, though. We could see The Hunger Games and Twilight continued through spinoffs of lesser characters (What's Taylor Lautner up to??? ), or perhaps turned into TV shows or packaged as digital series. If only they could find a way to do a crossover and kill two mockingjays with one stone.